As Chief Medical Officer of Health, I lead a team and work with a wide variety of partners to address the complex issues that negatively affect people’s health. 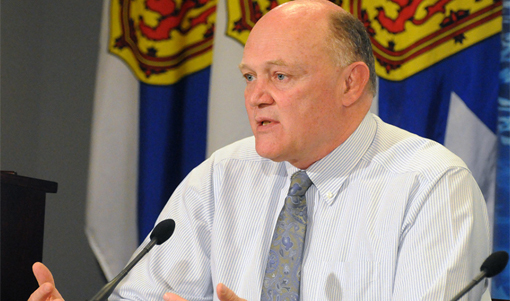 Public health in Nova Scotia is in the midst of renewal. In the 1980s and 1990s, public health capacity across Canada deteriorated significantly. This decline was visible in a series of inquiries and reports following public health events such as SARS, contaminated water (Walkerton), and tainted blood. The renewal process began in 2006 with the release of the Renewal of Public Health in Nova Scotia: Building a Public Health System to Meet the Needs of Nova Scotians, listing 21 actions. Renewal is part of a natural evolution. Public health is always evolving because of changes in the world, and the needs and expectations of the people we serve. We are working with our partners to help develop policies and create environments that allow all Nova Scotians to lead healthier lives. This means shifting our focus to address root causes and the social determinants of health, to minimize health inequities, and to have the most significant impact on the health of the population as a whole. This is our vision for public health in Nova Scotia. Other parts of the health system are also shifting to improve their impact. But the health care system alone can’t create healthy communities or healthy people. Other systems and structures that affect our lives from the moment we wake up in the morning -- like housing, education, and the economy – have the greatest potential to change health outcomes. Those systems can create significant change in our population’s health, and we need to support them to do so. There are documents on this website that articulate the plan for public health and how we are providing leadership and support to make Nova Scotia a healthy province. Healthy Nova Scotians will contribute to a sustainable health care system, a vibrant economy and a productive and competitive province. Please join me in being part of the change we want to see. Be active, be engaged, and be passionate about the things that matter to you.